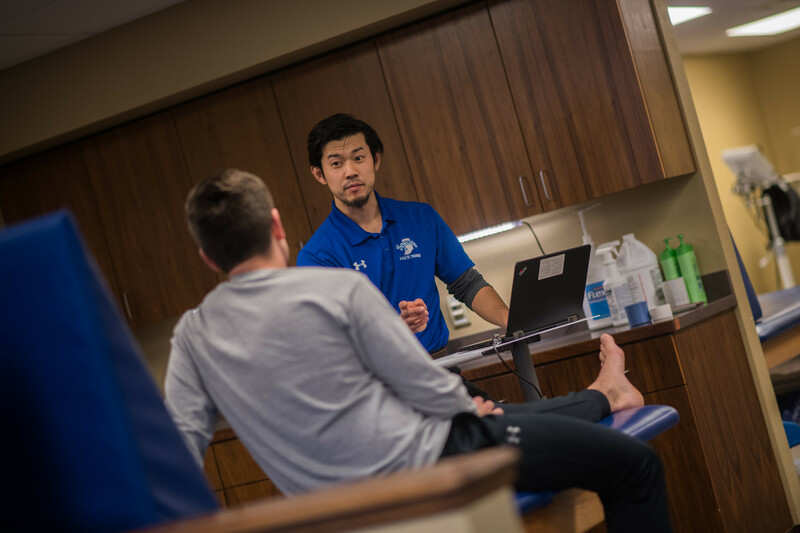 Indiana State University's College of Health and Human Services has created the Center for Sports Medicine and Performance to serve student athletes' health care and performance needs. The center will combine Indiana State's athletic training services and athletics strength and conditioning units and will focus on providing independent medical care for student athletes and support for improving athletes' performance. The center will continue to implement recommendations by the NCAA Interassociation Consensus: Independent Medical Care for College Student-Athletes Best Practices, which has been endorsed by the National Athletic Trainers' Association and the National Strength and Conditioning Association, among other professional organizations. "The center builds on the deep history of athletic training education and practice at Indiana State University," said Caroline Mallory, dean of the College of Health and Human Services. "We expect the center to serve student athletes and provide excellent opportunities for students in our degree programs to access experiential learning opportunities." Kellen Norris, director of the athletic training services and formerly an athletic trainer with the Indianapolis Colts, will direct the center. Norris will also be designated the athletic health care administrator. The center will be a part of the CHHS Dean's Office, with the director reporting to the dean. "This move will benefit everyone, especially our coaches and student athletes," said Sherard Clinkscales, athletic director at Indiana State. "I believe in Kellen Norris and the athletic training staff's ability to provide comprehensive healthcare while building a stronger partnership with strength and conditioning to ensure our student athletes' seamless progress through recovery to optimum performance." In an associated move designed to improve efficiency and delivery of physical therapy to student athletes and the public, the Physical Therapy and Sports Rehabilitation Clinic will also reorganize to the dean's office, with Jimmie Storms, director of clinic, reporting to the dean. The changes are effective July 1. The center will combine Indiana State's athletic training services and athletics strength and conditioning units and will focus on providing independent medical care for student athletes and support for improving athletes' performance.